Let’s be totally honest about this post upfront. I’m no science fiction fan at all and this is actually the kind of book I normally avoid. But, it is a vintage Ladybird book so when I found it in a charity shop it came home with me and it’s certainly part of Ladybird history. 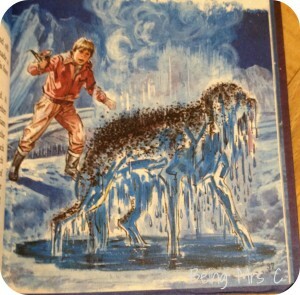 The Frozen Planet of Azuron was first published in 1982 as part of series 823. The series contained a total of 4 science fiction titles (The Energy Pirate, The Frozen Planet of Azuron, The Giants of Universal Park and The Planet of Death) and each book contains a short story. 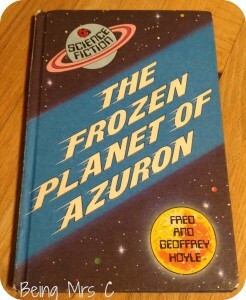 The Frozen Planet of Azuron was written by Fred and Geoffrey Hoyle. 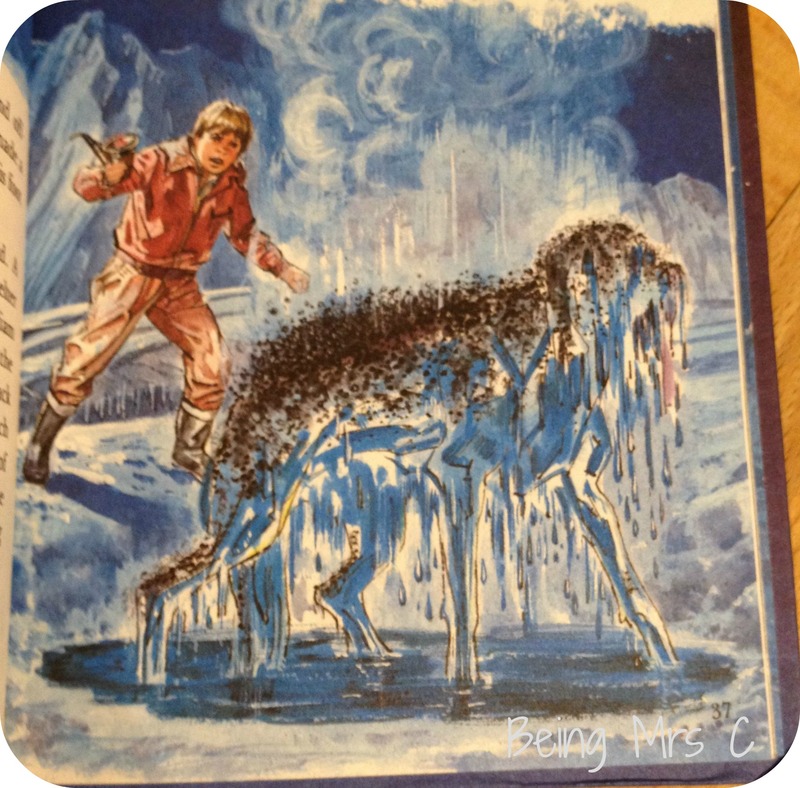 The illustrations were by Martin Aitchison who was one of the main Ladybird illustrators, having worked on the Key Word Reading Scheme. 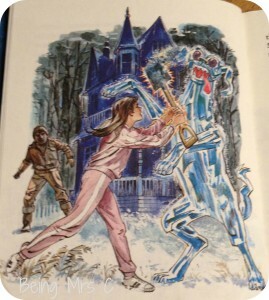 The book has a totally different feel from so many of the other Ladybird titles and I’m not sure if that’s because Science Fiction is something I’m not at all interested in, or if it’s actually more of the general 1980s style of things. Whilst it may not be my favourite part of Ladybird history, there’s no doubt that it demonstrates just how wide ranging Ladybird books were.